The Eastside Rail Corridor is a former rail line that could be the spine of a broad network of trails, parks, natural areas, and community destinations. The Trust for Public Land is working with five cities and two counties on the eastside of Lake Washington to convert the 42 mile corridor into a multi-use trail for walking, biking, and recreation. In addition to its many benefits of connecting neighborhoods, the project provides substantial climate change mitigation benefits by reducing transportation-related emissions. Show your support for the transforming the Eastside Rail Corridor! Sign the online petition. 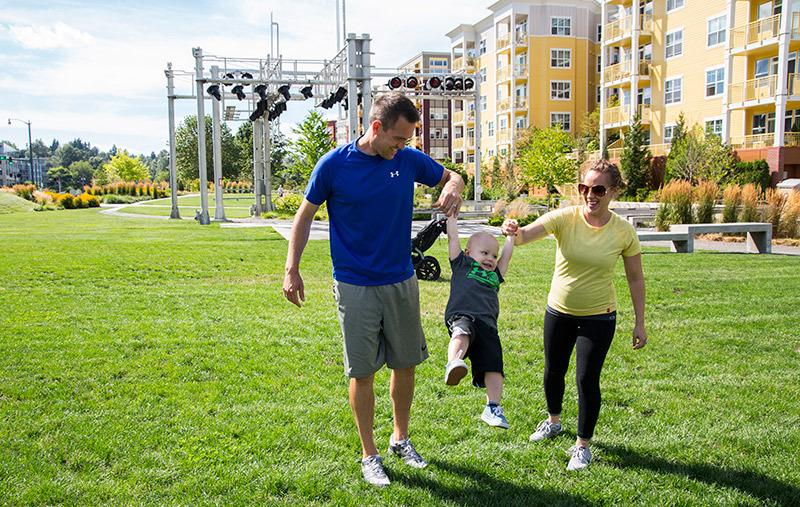 Together, we can turn the Eastside Rail Corridor into a trail that serves walkers, bikers, families and promotes the economic, social, and environmental vitality of our region. Watch Adrian Benepe's keynote speech at the Eastside Rail Corridor Summit in Seattle, January 2016.